The following Fox News reported interview with Fred Thompson concerning the assassination of Pakistan's former Prime Minister Benazir Bhutto displayed Fred Thompson's superior understanding of foreign policy and global foreign policy issues and problems. Note also that Fred Thompson has been an outspoken advocate for taking the war against Islamic radicals serious. Today the British Telegraph reported that Pakistan has said it has proof that Benazir Bhutto was murdered by al-Qa'eda. An interior ministry spokesman, citing an intercepted phone call, said the killing had been ordered by Baitullah Mehsud, a terrorist allied to the movement. Tags: foreign policy, Fox News, Fred Thompson, Pakistan To share or post to your site, click on "Post Link". Please mention / link to the ARRA News Service. Thanks! CNN Iowa PSA: Vote Huckabee or Die? CNN provides an interesting opportunity for Mike Huckabee to push for votes using dead pheasants as an illustration: "These three birds said they would not vote for me on caucus night. See what happened to them? . . . You vote for me, you live -- hum - there you go!" Tags: CNN, Election 2008, hunting, Mike Huckabee, presidential candidate, video To share or post to your site, click on "Post Link". Please mention / link to the ARRA News Service. Thanks! 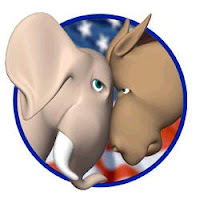 Tags: Election 2008, endorsement, Fred Thompson, Iowa, Ottumwa, presidential candidate, Republican To share or post to your site, click on "Post Link". Please mention / link to the ARRA News Service. Thanks! 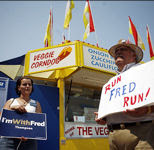 Tags: ad, Election 2008, Fred Thompson, Iowa, presidential candidate, substance, TV To share or post to your site, click on "Post Link". Please mention / link to the ARRA News Service. Thanks! CBS News: Secretary Of State Denounces GOP Hopeful's Characterization Of Bush Foreign Policy Republican presidential candidate Mike Huckabee accused the Bush administration of having a "bunker mentality" concerning foreign policy. In a brief foray into politics, Secretary of State Condoleezza Rice on Friday denounced comments by a leading Republican presidential candidate that the Bush administration's foreign policy is arrogant and unilateral. "The idea that somehow this is a go-it-alone policy is just simply ludicrous," she said at a State Department news conference. "One would only have to be not observing the facts, let me say that, to say that this is now a go-it-alone foreign policy." Tags: Condoleezza Rice, Election 2008, Mike Huckabee, presidential candidate To share or post to your site, click on "Post Link". Please mention / link to the ARRA News Service. Thanks! 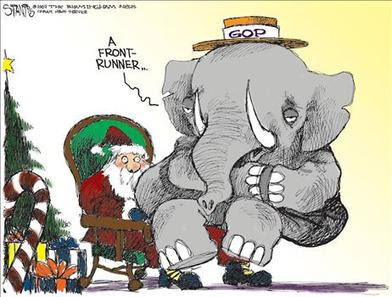 Merry Christmas from the ARRA News Service editorial staff. 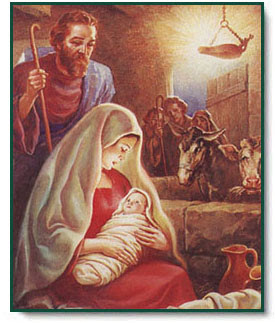 Tags: Christmas, Merry Christmas, 2007 To share or post to your site, click on "Post Link". Please mention / link to the ARRA News Service. Thanks! by Steve Tetreault and Jason C. Green, Stephens Washington Bureau: Congress passed (314-100) and the President signed into law last week legislation to promote energy efficiency and the use of ethanol fuel as a substitute for gasoline. The bill was one of the final and most far-reaching accomplishments by Congress this year. Requires automakers to increase the fuel efficiency of cars, small trucks and SUVs by 40 percent, to an average 35 miles per gallon by 2020. Requires fuel companies to increase their use of ethanol and other biofuels to 36 billion gallons by 2022, a fivefold increase. 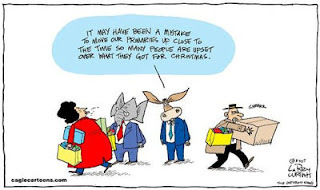 Tags: biofuels, energy bill, fuel efficiency, light bulbs, US Congress, US House To share or post to your site, click on "Post Link". Please mention / link to the ARRA News Service. Thanks! Senator John Ensign, NRSC Chairman, offers warm greetings for a Merry Christmas and happy holidays. Tags: John Ensign, Merry Christmas, 2007, NRSC, video To share or post to your site, click on "Post Link". Please mention / link to the ARRA News Service. Thanks!